The following is a short extract from our book, Designing UX: Forms, written by Jessica Enders. 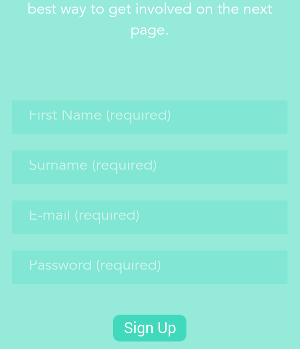 It’s the ultimate guide to form design, a key part of effective UX design. 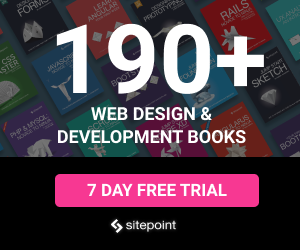 SitePoint Premium members get access with their membership, or you can buy a copy in stores worldwide. 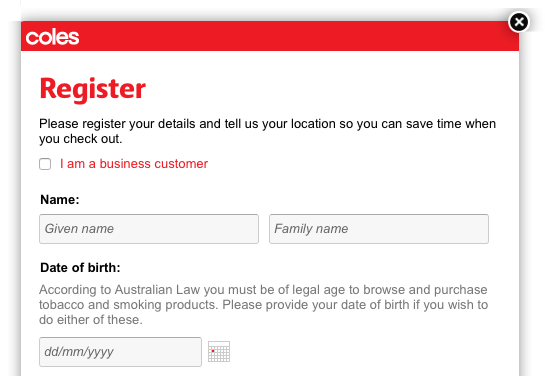 At this stage, the only color on the form is the logo and the red asterisks indicating questions that require an answer. In terms of this part of the design, we’re on the right track. I’ll explain why. 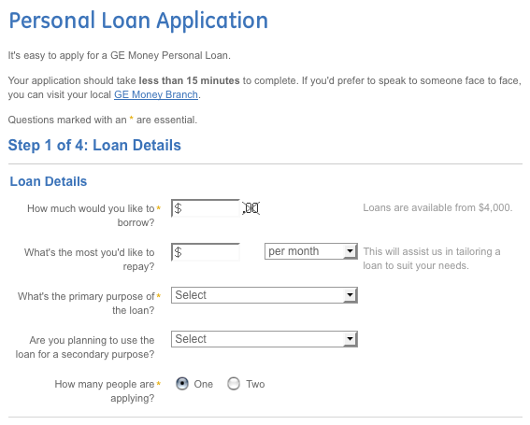 This very colorful form is more scary and confusing than fun. The fluorescent colors in this form may be hard for some people to look at. Human beings are incredibly sensitive to color. Our brains process it without us even realizing, and we can’t help noticing differences. In our forms, we can use this feature of human biology to our advantage. Reserve color for things that need it, so they stand out in some way. You may have noticed that I didn’t include the red asterisk of required field indicators (*) in the list of things that may use color. 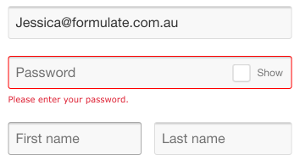 This is because I don’t recommend the use of red asterisks to indicate required fields. See “Required Versus Optional Fields” below for more information. This form uses color on almost every element, meaning none of them stand out. Our form now has all the color it needs. Estimates vary, but it’s likely that 4–10% of your web form’s users will have some deficiency in their ability to perceive color (typically—but inaccurately—called color blindness). The most common form of color blindness is red–green, where distinguishing between these two colors is difficult. 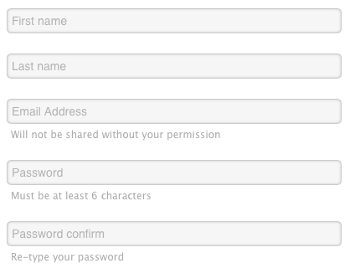 Given this, you should never want to rely solely on color to communicate something in your web form. 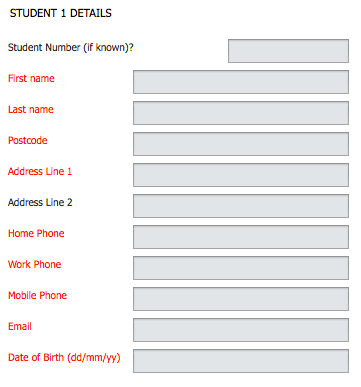 The form shown below uses red text for the labels of required fields, and black text for the labels of optional fields. Shame if you can’t tell the red from the black! 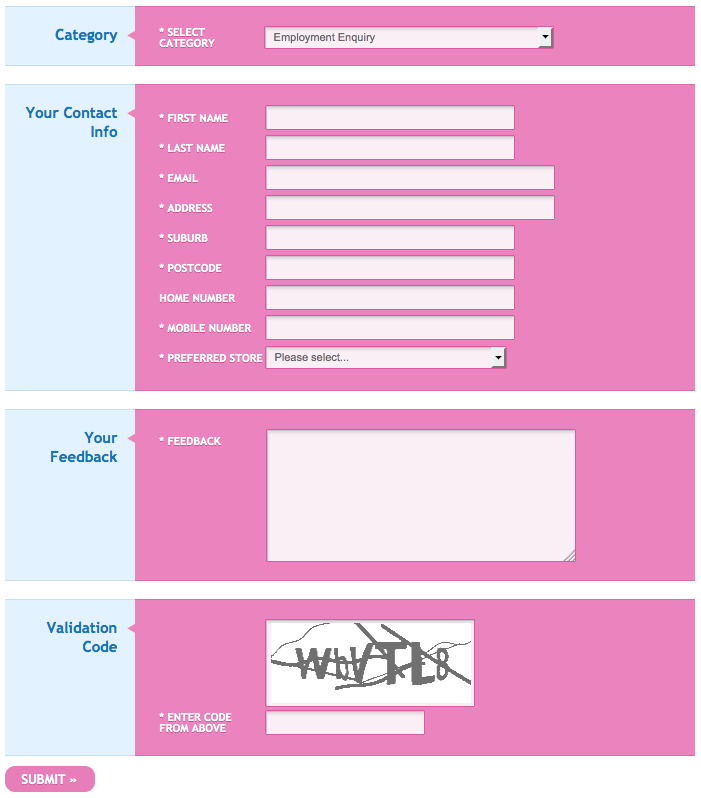 Not to mention how it makes the form look full of errors if you can see color well. 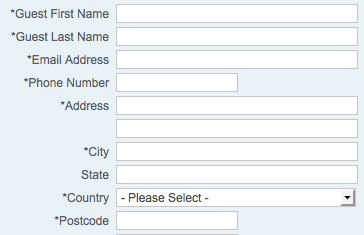 Color is the only way that required fields are indicated on this form, making it inaccessible to many users. The exclamation mark symbol means users can visually tell this is an error message, even if they have a problem seeing colors. The green in the background of the form is too similar to the green in the background of fields, and both greens are too similar to the white used for text. 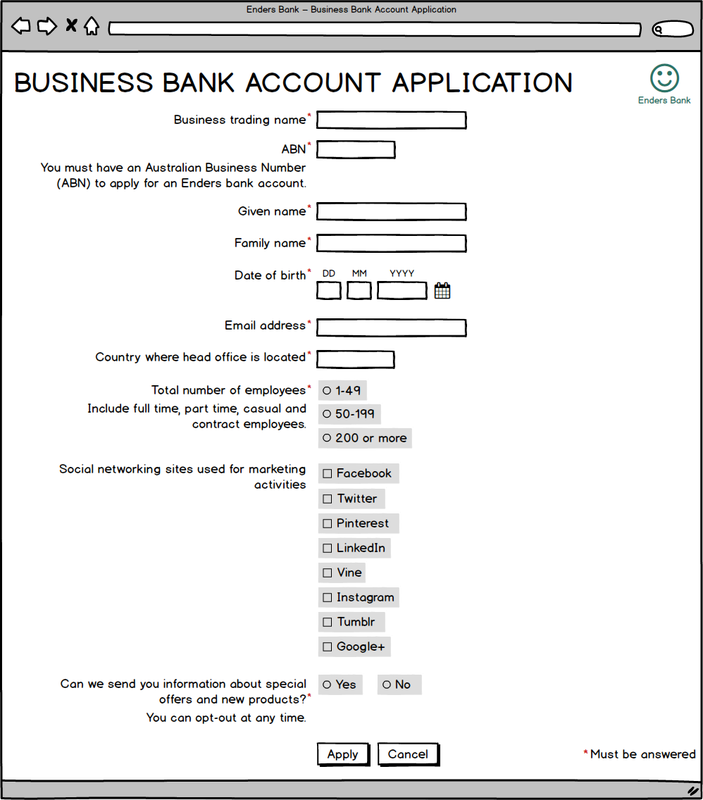 You may be able to see the fields on this form, but reading the labels will be tough. 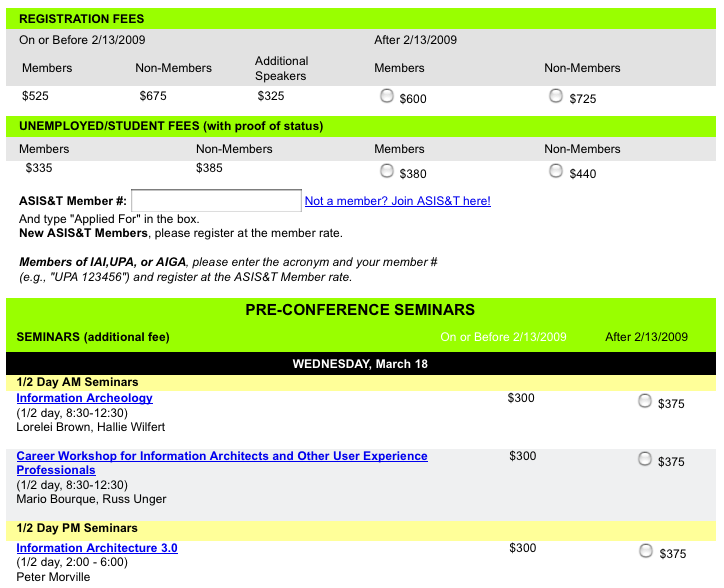 The colors in our example form have sufficient contrast. Jessica Enders has suffered from a life long condition known as a love of designing forms and other transactional interfaces. She is attempting to minimise the adverse symptoms by running her own form design business, Formulate Information Design.